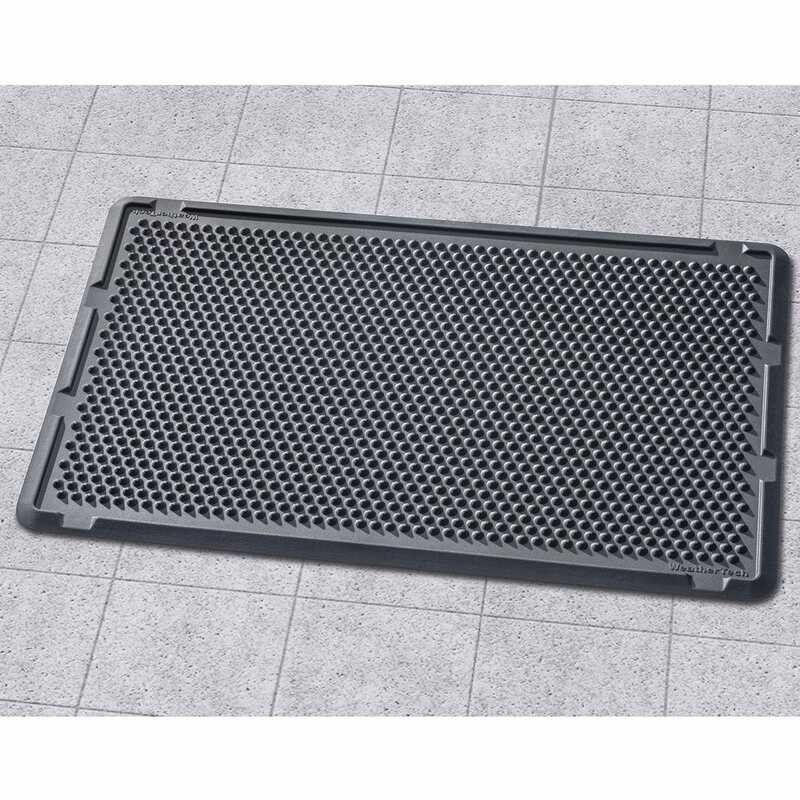 This attractive OutdoorMat features a specially designed scraper edge combined with semi-rigid cones to remove debris from boots and shoes. 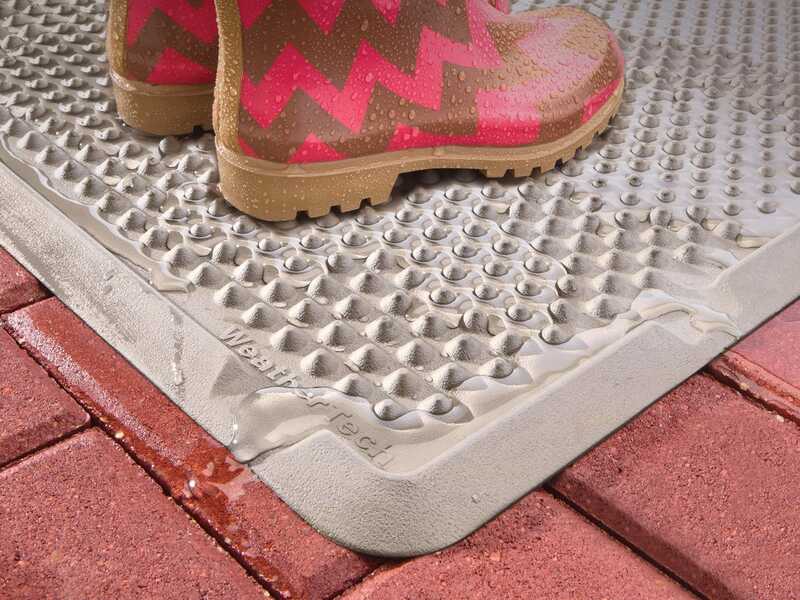 Vents around the perimeter allow liquids to easily flow away from the surface and its robust design enables the OutdoorMat to stay-put and lay-flat. 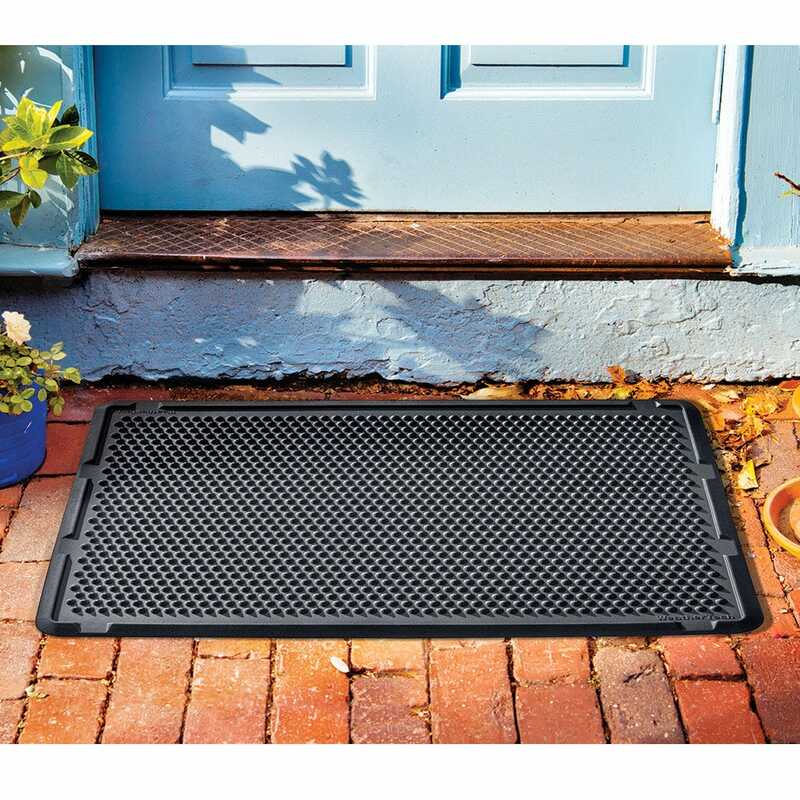 Perfect for use outside your home, garage, camper and RV. Measures 39”x 24”. Made in the USA. Lifetime warranty. As a replacement outside mat this one seems like it is going to work out just fine. 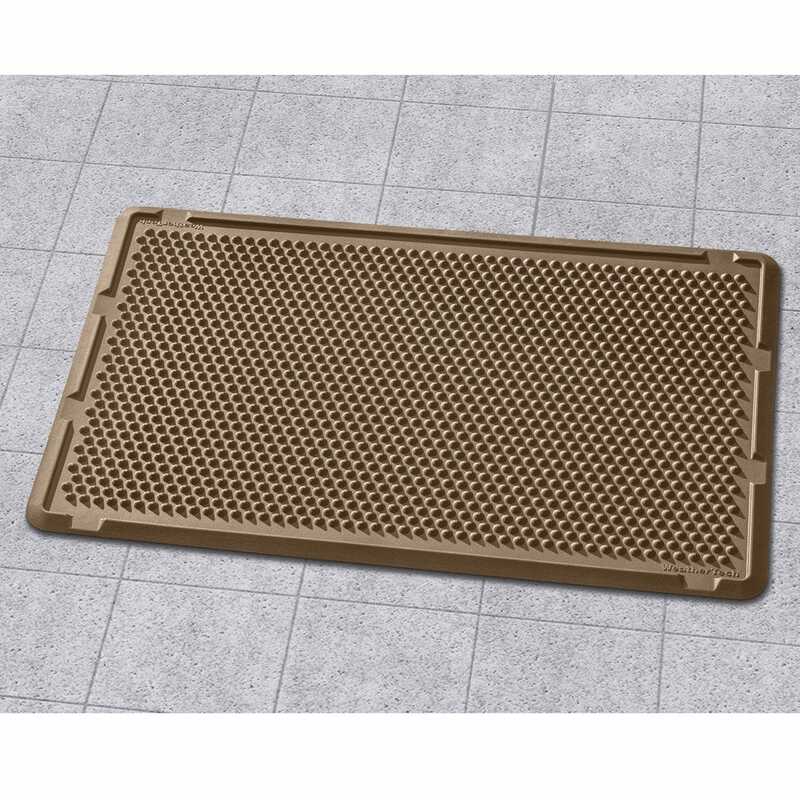 I love WeatherTech products. Made tough to last. Not like the junk made in China. Glad to see more of their products coming on the market. 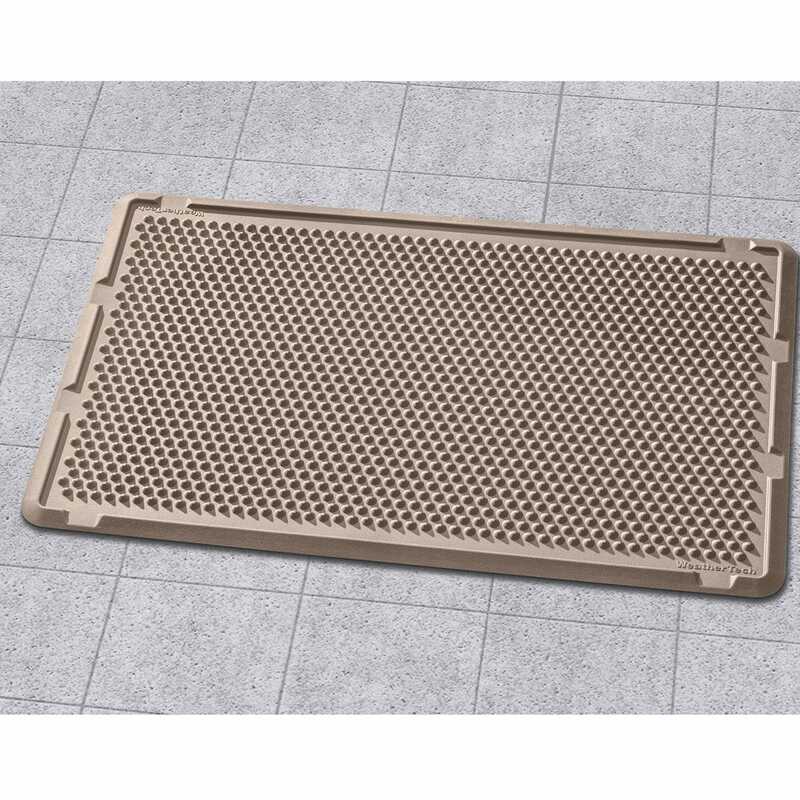 The WeatherTech company should be proud of their products that are made in the USA. Made tough to last in the USA. Not at all like the junk made in China. This is not our first purchase of WeatherTech products & won't be the last. Solid, well made product. Traps water, maybe too well (hence the 4 stars) Has a place for the water to leave at the edges, but it seems not to make it there. Probably the stoop it is on. Possibly needs more areas to allow water to escape. One person is the house complained that it was "slippery" but I didn't think so. 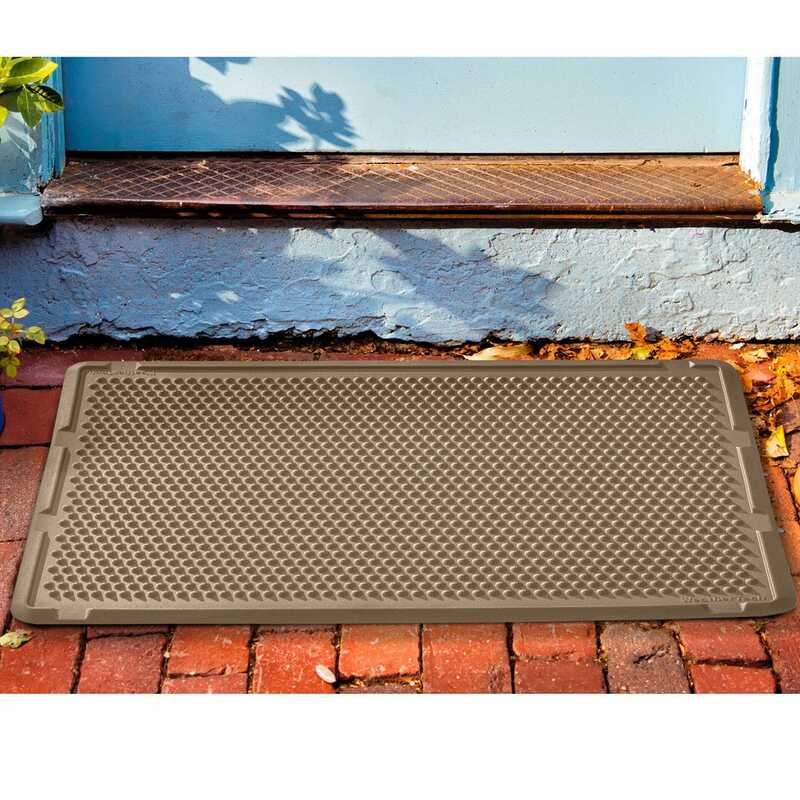 Best outdoor doormat I've ever had! 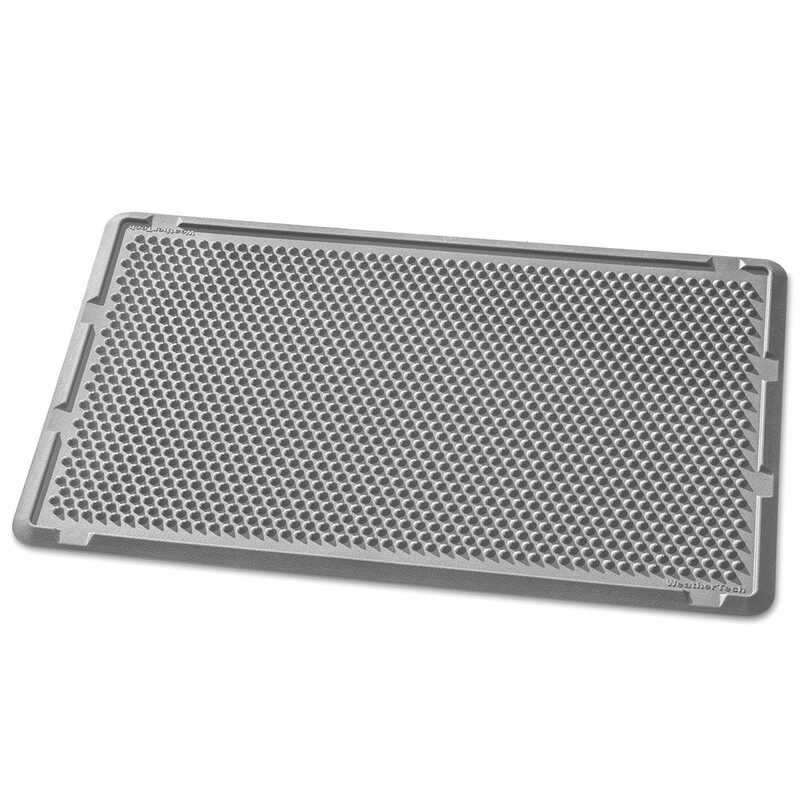 Easy to clean, and really cleans your footwear well! I've only had this for a week, so far so good. I've bought other weather tech items and have been very pleased.